Howard Storm was born October 26, 1946, in Flushing, New York. 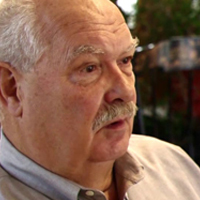 He is a former art professor and chairman of the art department at the Northern Kentucky University. Before his near-death experience, Storm reports that he was not a pleasant man. He was an angry atheist that was hostile to every form of religion, as well as those who practiced it. He considered all spiritual belief systems to be fantasies created by deluded people. He knew with certainty that the material world was all that existed. He would often use rage to control the people around him and didn’t find joy in anything. On June 1, 1985, at the age of 38, Storm suffered a perforation of the stomach, which led to his death and a profound near-death experience. When he returned to this world, he was a changed man. 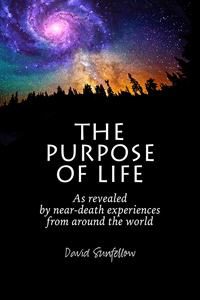 He is best known as the author of “My Descent Into Death” which details his near-death experience. 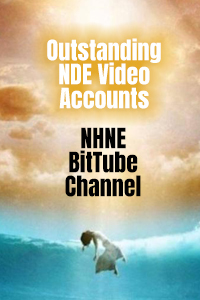 Storm’s NDE is regarded as one of the most complete accounts of distressing near-death experiences ever recorded. 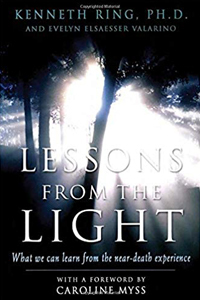 It includes dramatic encounters with evil spirits, a trip to hell, a rescue by Jesus, and extensive conversations with Jesus and a group of angels. 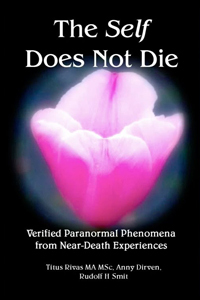 Storm’s NDE has been cited frequently in near-death studies literature. His book was originally published in 2000. Storm has told his story to numerous audiences and appeared on NBC’s Today Show, The Oprah Winfrey Show, 48 Hours, Discovery Channel and Coast to Coast AM. Storm was so deeply affected by his near-death experience that he resigned from Northern Kentucky University and became a United Church of Christ minister. 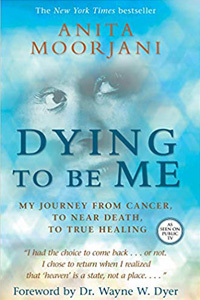 “Not since Betty Eadie’s “Embraced by the Light” has a personal account of a Near-Death Experience (NDE) been so utterly different from most others — or nearly as compelling. 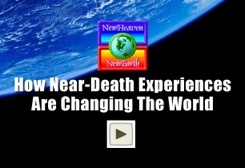 “In the thirty years since Raymond Moody’s “Life After Life” appeared, a familiar pattern of NDEs has emerged: suddenly floating over one’s own body, usually in a hospital setting, then a sudden hurtling through a tunnel of light toward a presence of love. Not so in Howard Storm’s case. “Storm, an avowed atheist, was awaiting emergency surgery when he realized that he was at death’s door. Storm found himself out of his own body, looking down on the hospital room scene below. 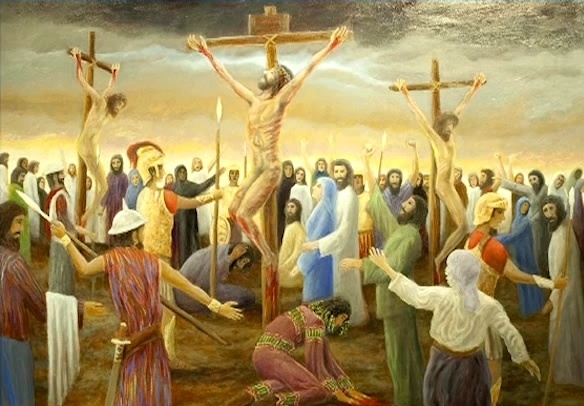 Next, rather than going ‘toward the light,’ he found himself being torturously dragged to excruciating realms of darkness and death, where he was physically assaulted by monstrous beings of evil. His description of his pure terror and torture is unnerving in its utter originality and convincing detail. 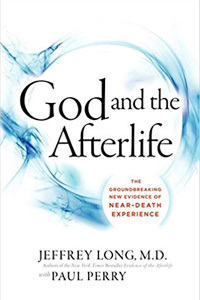 From the author of, “My Descent Into Death,” comes and autobiographical journey that changed the author’s life from an atheist to a Christian minister. 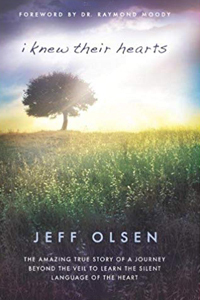 This journey has had dramatic hill and valleys which have been openly described in the hopes that the reader will find similarities in their struggles through life towards an abiding faith in God. Edward A. Riess recorded the following talk by Howard Storm which reportedly took place in the fall of 1987. It is one of the first public talks given by Howard in which he describes his now famous near-death experience. Special thanks to Ed for providing this important audio recording. While most of Howard’s appearances in the media have focused on the superficial aspects on his near-death experience, a recent interview with filmmaker Matt Cline gave Storm the opportunity to go deeper. I encourage all of you to watch this outstanding film. 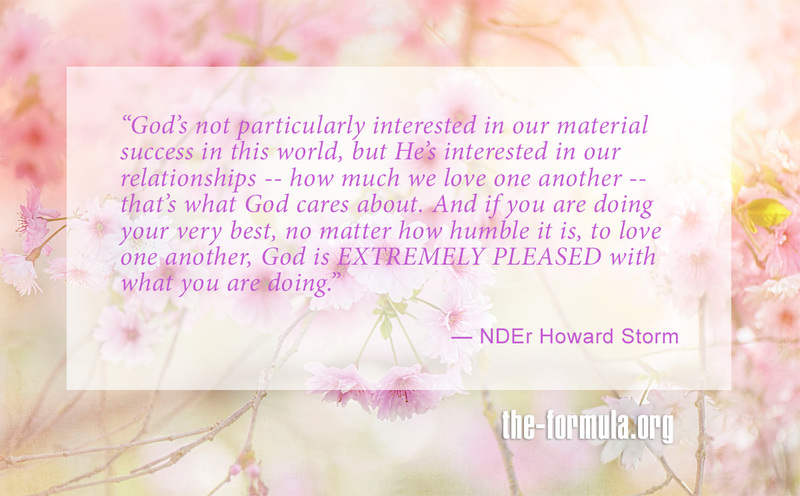 The second video (Part 3) — from 03:00 to 10:25 — includes a wonderfully insightful and humorous conversation that Howard had with Jesus concerning why loving others is the most important thing a person can do. Don’t miss this one. I never saw God, and I was not in heaven. It was way out in the suburbs, and these are the things that they showed me. We talked for a long time, about many things, and then I looked at myself. When I saw me, I was glowing. I was radiant. I was becoming beautiful — not nearly as beautiful as them — but I had a certain sparkle that I never had before. They explained to me that I was very underdeveloped and that it would be of great benefit to return to my physical existence to learn. In my human life I would have an opportunity to grow so that the next time I was with them I would be more compatible. I would need to develop important characteristics to become like them and to be involved with the work that they do. Responding that I couldn’t go back, I tried to argue with them, and I observed that if I bear that thought — the thought that I might wind up in the pit again — I pled with them to stay. They assured me that mistakes are an acceptable part of being human. “Go,” they said, “and make all the mistakes you want. Mistakes are how you learn.” As long as I tried to do what I knew was right, they said, I would be on the right path. If I made a mistake, I should fully recognize it as a mistake, then put it behind me and simply try not to make the same mistake again. The important things is to try one’s best, keep one’s standards of goodness and truth, and not compromise those to win people’s approval. They advised me to recognize it when I made a mistake and to ask for forgiveness. Before I even got the words out of my mouth, I would be forgiven but, I would have to accept the forgiveness. My belief in the principal of forgiveness must be real, and I would have to know that the forgiveness was given. Confessing, either in public or in private, that I had made a mistake, I should then ask for forgiveness. After that, it would be an insult to them if I didn’t accept the forgiveness. I shouldn’t continue to go around with a sense of guilt, and I should not repeat errors I should learn from my mistakes. I didn’t give in easily. I argued that back there was full of problems and that here was everything I could possibly want. 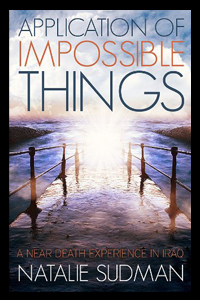 I questioned my ability to accomplish anything they would consider important in my world. They said the world is a beautiful expression of the Supreme Being. One can find beauty or ugliness depending on what one directs one’s mind toward. They explained that the subtle and complex development of our world was beyond my comprehension, but I would be a suitable instrument for the Creator. 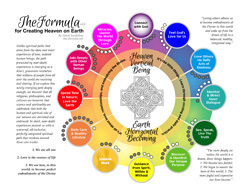 Every part of the creation, they explained, is infinitely interesting because it is a manifestation of the Creator. A very important opportunity for me would be to explore this world with wonder and enjoyment. They never gave me a direct mission or purpose. 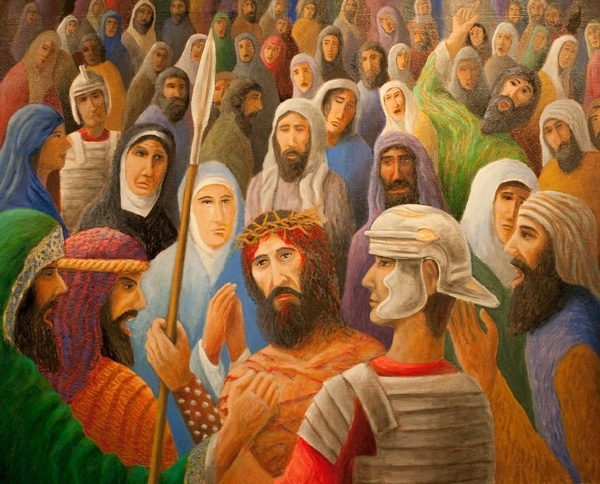 Could I build a shrine or cathedral for God? They said those monuments were for humanity. They wanted me to live my life to love people not things. I told them I wasn’t good enough to represent what I had just experienced with them on a worldly level. They assured me I would be given appropriate help whenever I might need it. All I had to do is ask. The luminous beings, my teachers, were very convincing. I was also acutely aware that not far away was the Great Being, what I knew to be the Creator. They never said, “He wants it this way,” but that was implied behind everything they said. I didn’t want to argue too much because the Great Entity was so wonderful and so awesome. The love that was emanated was overwhelming. 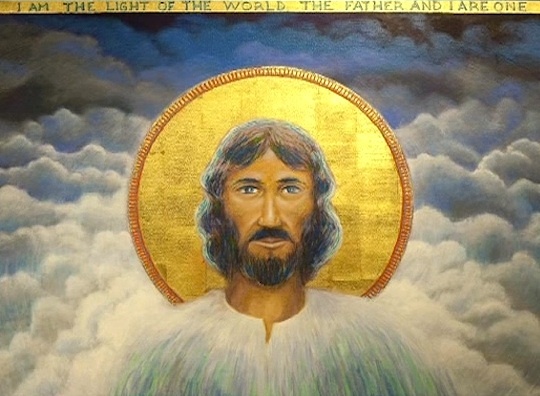 Paintings that Howard Storm created of Jesus Christ after his near-death experience. 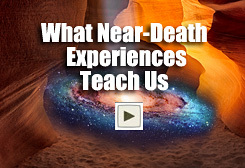 Former atheist Howard Storm shares his near-death experience in more detail. The sound is slightly out of sync with the video in portions of this video.